It’s time to stock your ponds! 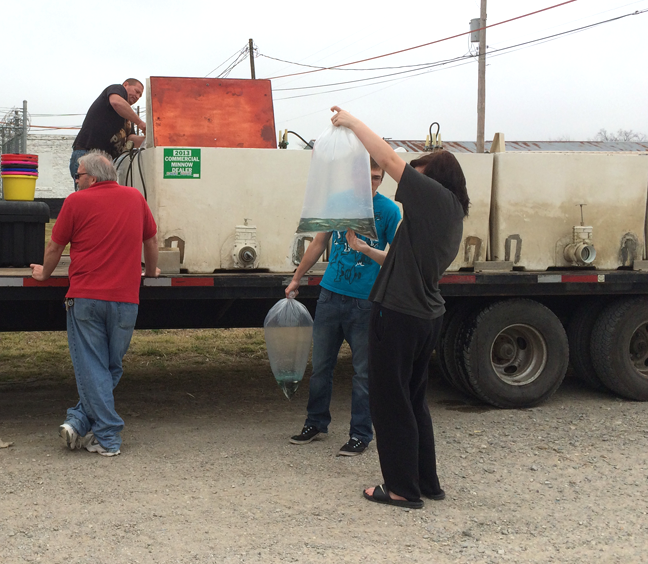 Abney’s Fish Truck visits J&N Feed and Seed in Graham, Texas on Wednesday, March 25th, from 2:00 pm to 3:00 pm. The truck will have channel cats, large mouth bass, black crappie, hybrid bluegill, coppernose bluegill, fathead minnows and MORE! Questions? Visit Abney’s website or give us a call at 940-549-4632. This entry was posted on Wednesday, March 11th, 2015 at 2:44 pm	and is filed under Events, News & Updates. You can follow any responses to this entry through the RSS 2.0 feed. Both comments and pings are currently closed.